If you have been following my blog you will have realised that I like to crochet. I learned to knit before I learned crocheting but I have never been very good- I think the main problem with knitting is it takes longer (ok, I should probably practise more!) and I’m not very patient person. So when I learned crocheting and realised it was much faster I got addicted. But recently I wanted to get my needles out again because lots of projects just work better knitted rather than crocheted (like this snood). I have had this chunky bamboo wool in my stash for a while now- it’s really soft. 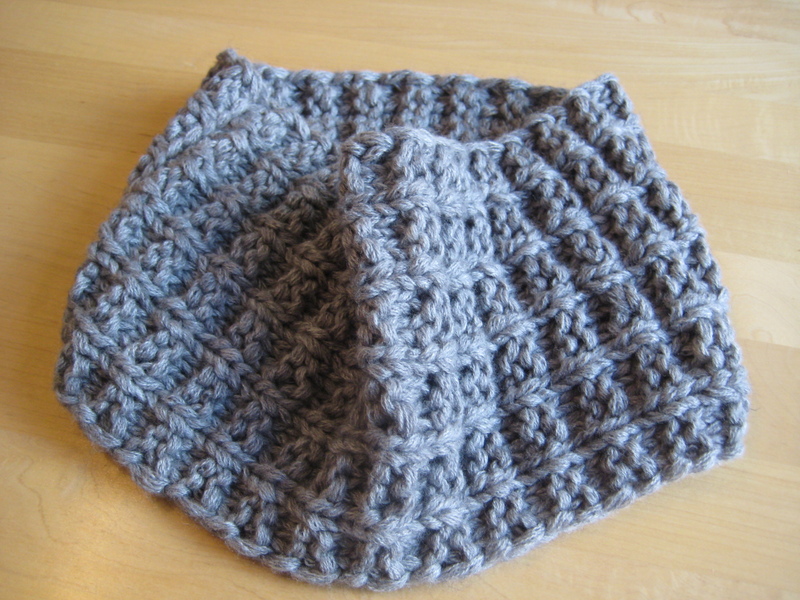 I have been wanting to knit something with it because knitting gives a stretchier fabric than crocheting. I used this waffle pattern previously to make a bracelet and I really like the texture it makes. I used size 10mm needles (for quick knitting!) and cast on 19 stitches. I made this for me but it looks like it may get shared with my husband since the colour and pattern are both very gender neutral and he likes how soft it is too! Cast on any multiple of 3 + 1 stitches. 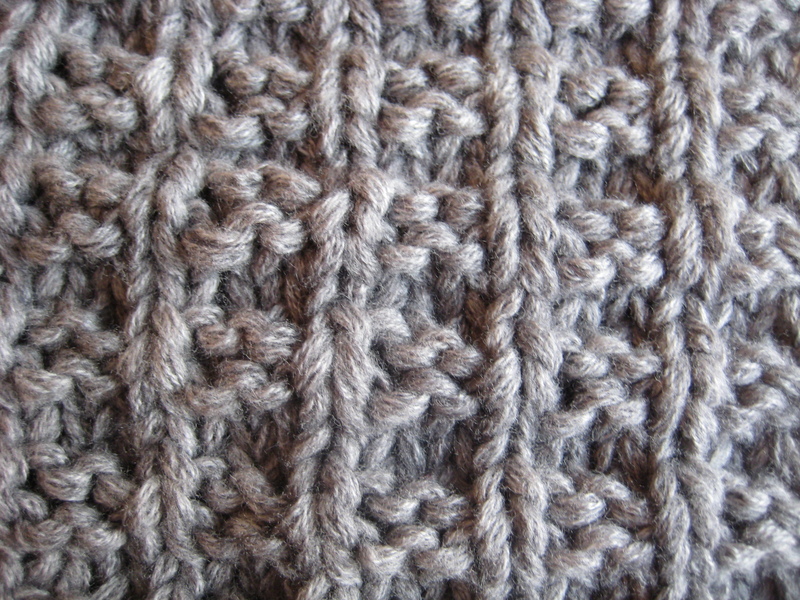 Repeat rows 1-4 until you have the desired length for a snood or scarf. I finish on row 2 and then cast off as usual. I used a crochet hook to single crochet my ends together to form a loop because the wool was too chunky to go through any needles. I guess more competent knitters could figure out how to knit this all in one piece to avoid having to join it up! 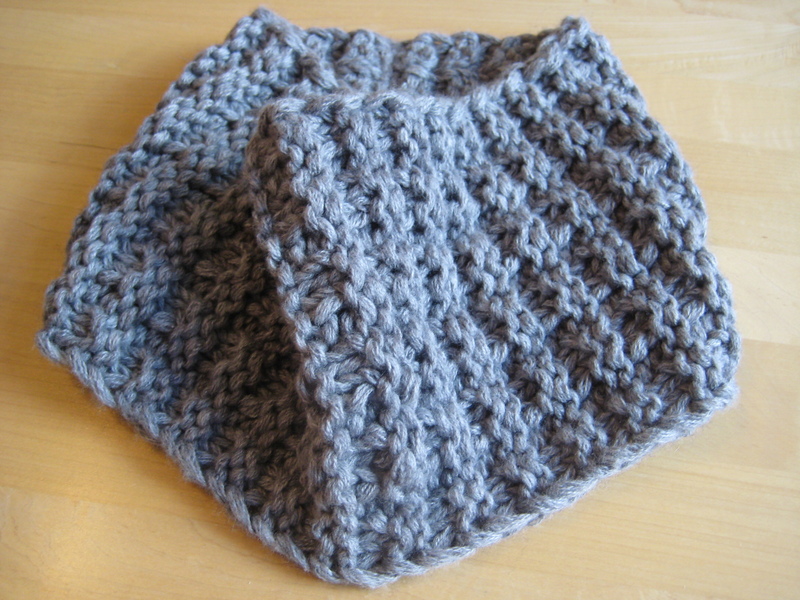 Snood inside out- I like it this way too!